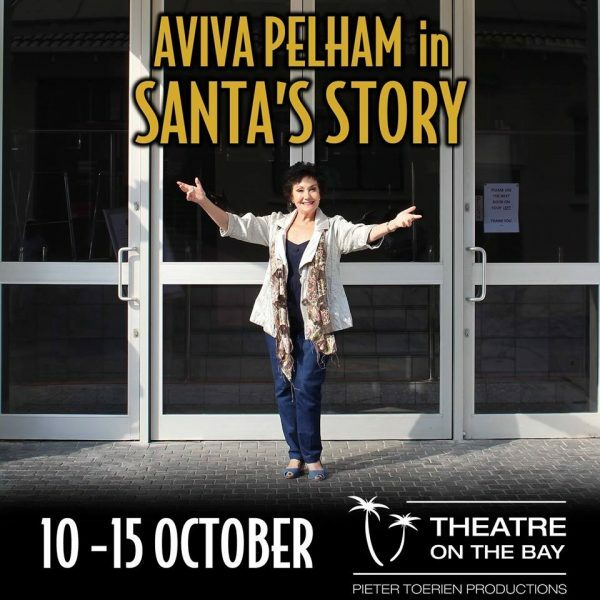 Santa`s Story is a moving, one-woman show depicting Santa Pelham`s journey of courage, hope and inspiration through discrimination to heartbreaking losses – a triumph of the human spirit. When 90-year-old Santa Pelham was persuaded to write her fascinating life story it was intended that her memoir would be there for future generations. Santa`s Story became something more: a cathartic experience, an inspiration for song and now, a one-woman show performed by her daughter, Opera Diva, Aviva Pelham. 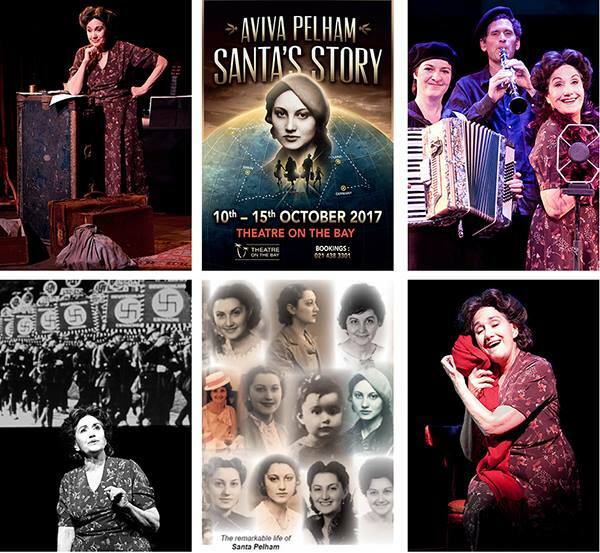 Aviva brings the moving text to life detailing her Mother`s journey from Germany, to Spain, to France and then to Africa – punctuated by wonderful live Klezmer music. 3 superb Klezmer musicians play 7 instruments with songs in Spanish, French, Hebrew, Yiddish and English. The production is a theatrical gem and has played to sold-out seasons with standing ovations at every performance in Cape Town, Johannesburg, Durban, Helsinki, London, Cologne and Huerth (Santa`s birthplace). Santa`s Story was invited to be part of the First International Yiddish Folksbiene Festival in New York in 2015. Although Santa`s Story is a personal one, it honours the millions of people who were murdered mercilessly in the Holocaust and really deserves to be seen. It is a meaningful and unforgettable story of courage, hope, survival, inspiration and one very special woman. Originally directed by multi-award winning Janice Honeyman with designs by the acclaimed Mannie Manim and the late Dicky Longhurst, Santa`s Story will be performed at Theatre on the Bay from 10th – 15th October 2017 before going on tour to Australia.